Wow, it’s Week 12 already, where did the season go? Playoffs are right around the corner and fantasy owners need to solidify their rosters with the anticipation of getting your team the best opportunity to win the title. Something else that I am anticipating is Thanksgiving Day. How can you not like great food, family and, of course, football? There are a lot of things to be thankful for, and I am thankful that you came to our site to get our fantasy football insight and grateful that you are still reading this article. Well, enough about me and what I like. 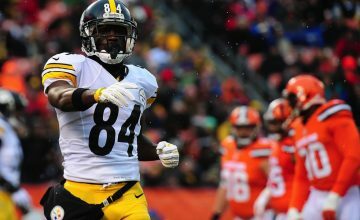 Let’s get to the fantasy football insight with the Fantasy Football Week 12 Stock Report and have a safe and Happy Thanksgiving! Case Keenum is having a very eventful 2017 season. He was signed to be Sam Bradford‘s backup, and possibly even the third-string if Teddy Bridgewater returns completely healthy. After Bradford was injured earlier this season, Keenum played OK but fantasy fans couldn’t wait for Bradford’s return against the Bears. Bradford did return and played horribly and then proceeded to reinjure himself. Keenum came in and saved the day, and the Vikings have now won six in a row with Keenum playing. Through seven games, he is 149-of-233 passing a 62.8 completion percentage that is the highest of his career. He has also recorded 1,610 passing yards, seven touchdowns, and three interceptions. His overall passing rating is 88.8, also a career high. Minnesota is now sporting an 8-2 record, 6-2 since Keenum took over as the starter. It’s easy to dismiss Minnesota because of Keenum, but he keeps playing well enough to keep his job. The Vikings can all but clinch the NFC North with a Thanksgiving Day win in Detroit. Keenum can make a clear statement by continuing to play a big role in the Vikings’ success. While most fantasy owners felt the pain with the suspension of Ezekiel Elliot, who would have thought that it would hurt Dak Prescott the most? He has thrown for 321 yards with zero touchdowns and three interceptions without Elliot. 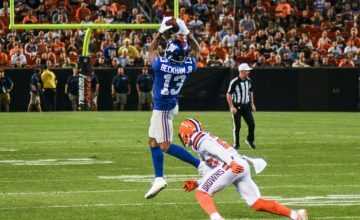 The former Buckeye concealed the deficiencies in the passing game, that no one can create separation in the passing game, including Dez Bryant. The Cowboys (5-5) have lost both games without Elliot by a combined score of 64-16. The defending NFC East champs are already all but eliminated in the division race, facing a difficult road to a wild-card spot. Furthermore, the Cowboys have had 23 drives the past two games and scored just one touchdown. Four-time Pro Bowl left tackle Tyron Smith has also missed two games with back and groin issues but appears set to return to this week. Dak Prescott has been running for his life the past couple of weeks because of the breakdowns on the offensive line. Prescott was sacked a career-high eight times in the first loss and lost a fumble in both games. Prescott owners need to pray that Tyron Smith comes back immediately to give Prescott a chance, but with defenses not having to focus on Elliot, there are no other offensive players that defenses should be concerned with to alleviate the immense pressure on Prescott’s shoulders. Samaje Perine will be the number one pickup this week as he becomes the Redskins’ featured back now with both Rob Kelley and most currently Chris Thompson out for the season. Perine looked impressive in his first opportunity, he received 24 touches (23 carries, one reception on two targets) and totaled 126 yards and a TD in Week 11. The former Oklahoma star was hyped before the season. He got injured and suffered fumbling issues that led to diminished playing time. Perine is now taking the reins in the Redskins’ backfield and should have plenty of opportunities to score in the productive Redskins offense. He might not be spectacular on a weekly basis, but the volume alone dictates that he should be in the RB2 mix for the rest of the season. The rejuvenation of Adrian Peterson is now over. He has now finished with less than 30 rushing yards in three of the last four games. He did that despite averaging almost 21 carries per game during that span. Fantasy owners continue to hope for the next bounce-back, but he is now TD-dependent and unlikely to score in the Week 12 matchup against the Jacksonville Jaguars. Adam Thielen has followed up an unlikely 2016 breakout season with one that is easily more impressive. He averaged the second most yards per target in the NFL and flirted with a 1,000-yard season. The lack of Vikings’ success last season made his play go under the radar. 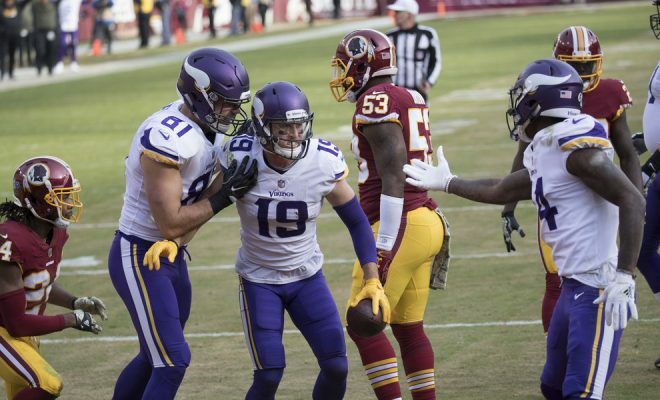 Thielen is currently fifth in the NFL in catches and second in receiving yards, trailing only the Steelers‘ Antonio Brown. He is on pace to finish the season with nearly 100 receptions and nearly 1,500 yards. He is on a three-touchdown streak, representing his output in that category for this season. Adam Thielen is Fantasy’s most consistent receiver this season and you cannot argue with his production right now. He is a WR1 who most owners drafted WR3. The Packers started the season 4-1, and Nelson scored six touchdowns in those games. That total remains tied for fifth in the NFL despite Nelson not adding to that total over the last five contests. The Packers’ season, of course, turned in Week 6 with Aaron Rodgers‘ broken collarbone. The Packers have averaged 14.3 points in Hundley’s four starts and has only broken the 17-point barrier only once in those four games. Nelson has only averaged just 3.2 catches for 30.4 yards with zero touchdowns in that span. Additionally, he also hasn’t seen a red-zone target in four games. While I am a huge Jordy Nelson and “start your studs” philosophy fan, I think his place on your roster needs to go to someone else. Tyler Kroft has been one of the best streamers tight ends in fantasy over the last few weeks. He has scored five or more fantasy points in four out of five games. He is going up against the Cleveland Browns in Week 12 who has given up the third most fantasy points to tight ends. Kroft destroyed the Browns for six catches, 68 yards and two touchdowns against the Browns earlier this season. The Browns did not make any improvements as evidenced by now letting three straight TE’s to score touchdowns, and Kroft is coming off a touchdown last week against the Broncos. He should provide solid TE1 production this week. It is clear that Fitzpatrick and Brate have no chemistry. Brate has just two catches for 19 yards over his past two games and has only seen just 13 of Fitzpatrick’s 119 targets this season. 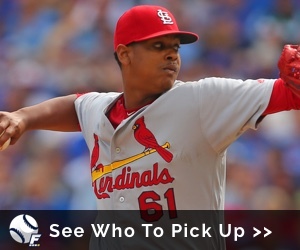 His downturn coincides with Jameis Winston‘s absence due to a shoulder injury. Additionally, he is also notably seeing less playing time now with rookie O.J. Howard‘s emergence. Brate opened the season strong. He caught a touchdown in four of the Buccaneers’ first five games while averaging 64 yards per game during that span. Since Week Six though, Brate’s snap percentage and fantasy production has been on the decline. 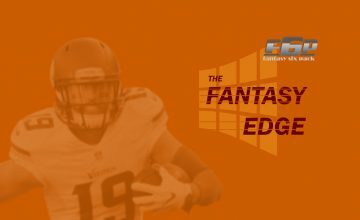 Check out the rest of our 2017 Fantasy Football content from our great team of writers. Dennis Sosic is from Cleveland, Ohio and a HUGE sports fan including NFL (GO BROWNS!) and college football (GO BUCKEYES!) MLB (GO TRIBE), NBA (GO CAVS!) and MMA. He has been called a Sports Geek by friends and foes alike and that fits him perfectly. He has been competing in fantasy sports, mainly fantasy football and baseball for over 20 years. Please do all of us a favor and follow Dennis @ CALL_ME_SOS.